If you’d like your computer to be really fast and already have added ram and optimized, you should consider switching to an SSD. SSDs are solid state drives. They are faster than conventional drives because they don’t have moving parts. A regular drive has several platters that spin at high speed and your computer’s speed can’t go faster than the rotation of the drives. A solid state drive, on the other hand, has only circuitry not limited by the speed of the spin. You’ll be amazed at the difference. You won’t want to go back to a conventional hard drive. SSD drives are typically smaller and more expensive than conventional drives. If you go for a solid state don’t get the smallest. The larger they are the better their performance. If you want top speed you could get SSD drives in a Raid 0. You need to have enough room for two drives in your computer. I’m not recommending this but it does it give you top performance. I don’t recommend it because if one of the drives on a Raid 0 fails, you lose all your data. Your risk of data loss is thus double the risk of loss with a single drive. The performance is optimal, however. 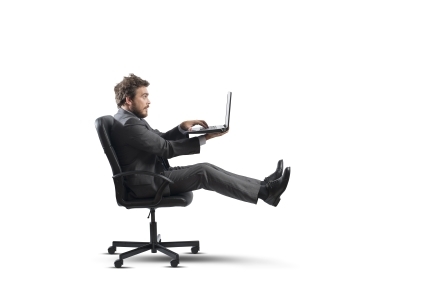 Just make sure you back up your desktop or laptop computer daily and make system images regularly. That way if something does go wrong, you can replace the bad drive and be up in running in no time. A Solid State Drive will make your computer extremely fast. You need to buy mounting brackets or caddy if you are putting the SSDs into a desktop computer. Also make sure your bios configuration is set to AHCI instead of IDE. An IDE setting in the bios, severely cramps the performance of an SSD. 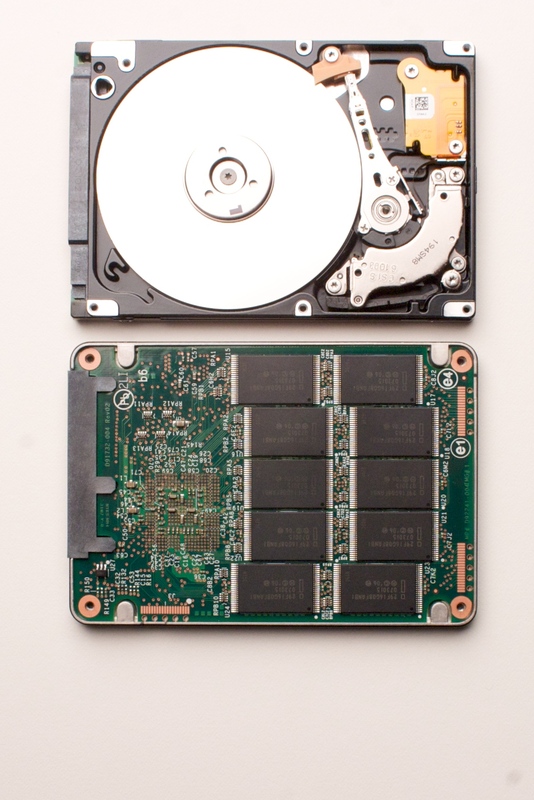 The above photo of the two drives is from Intel. If you’d like more info on Intel Solid State Drives, click here. If you’d like to switch to an SSD for your desktop or laptop computer bring it in to Ducktoes.